Do you like Princesses Disco Divas? Share it with your friends. 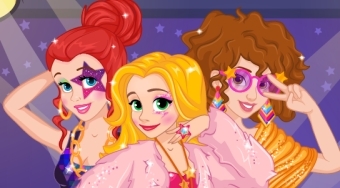 Three famous princesses want to go to a disco and your task is to do your best to dress them all.